Data backup has become very necessary for a business user as well as for a home user. As both keep important data in their computer. And because ransomware like cyber threats are high these days. So backing up your data have become very necessary to a offline location or at cloud. 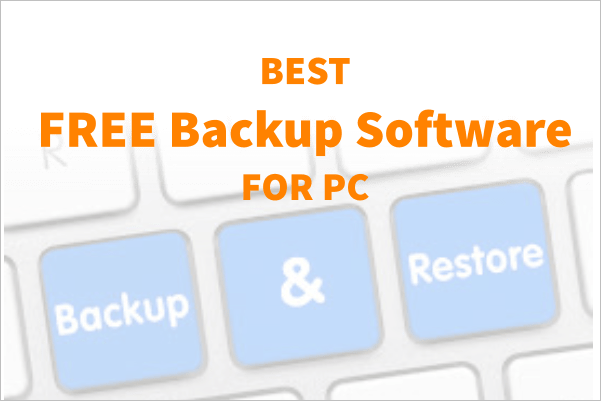 This list contains some of the greater free software that gives you functionality to backup and restore data with many great options. These free versions are perfect for home users to backup their system to an external disk to safeguard data from malware and ransomware attacks as well as from the hardware failure. These software are also useful if you have cloud drive and you need a system to backup data online to access it anywhere. All these are fully compatible with Windows 10 and 7. 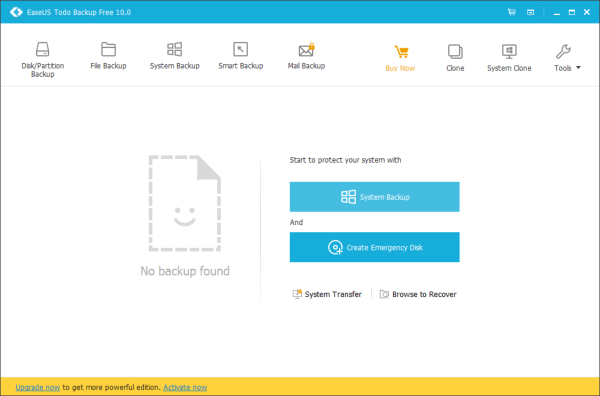 AOMEI is incredibly simple to backup and anyone can get started. It has a tutorial session for beginners and their intuitive wizard setup gives you advice on what are the best files to backup. First, you give the files a name and create a schedule to when you want to back up said files. Once, you have the files backed up and saved to your cloud software your files will be perfectly protected with encryption and your unique password. It support full System backup, disk backup, partition backup, folder or file backup with automatic sync, differential backup, Incremental backup & real time sync. You can Restore system, disk, partition, folder or individual file from the backup as per your requirement. You can clone a Disk or partition. Multiple destinations internal HD, external HD or Cloud Drive. EaseUS -the premium version- is one of the greatest cloud back software ever made. So it isn’t a surprise that the free version makes it own the list. The free version comes with a lot of features equivalent to the paid version. 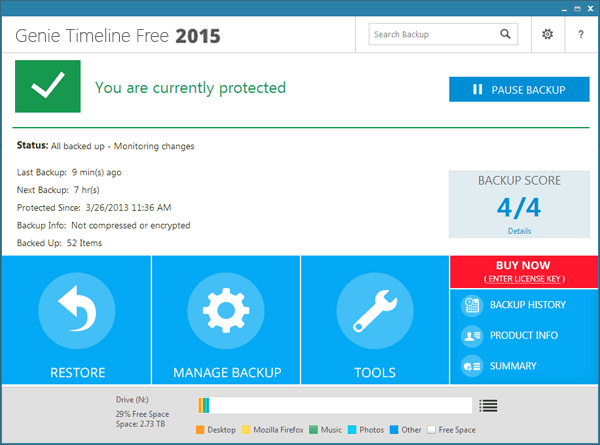 Aside from the limited space and locked features, EaseUS free version is worth the grab. It has most of the features that you come to expect like scheduled backups and different formats to download on. But one thing EaseUS is known for is their easy to use user interface and zero to no learning curve. 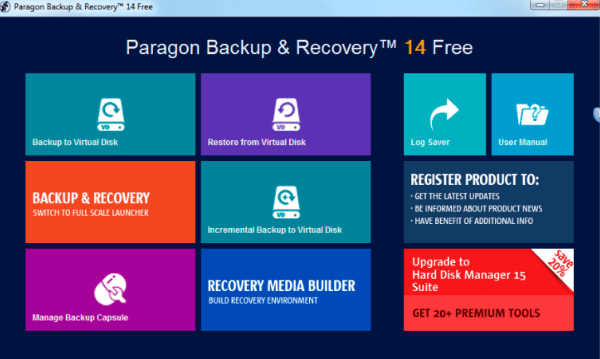 Many recovery option as like backup options. Other utilities that it provide is Backup management, Backup compression, spliting of backup image. Option to create emergency disk and it support multiple language. But let’s say you don’t want to backup into a cloud service you just want to backup into an internal or external hard drive. CrashPlan is perfect for this and likewise to EaseUS; it has an easy to use user interface and easy for beginners to pick up on. 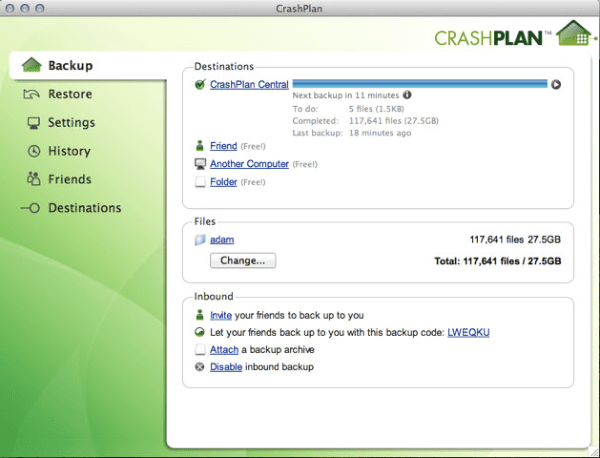 There isn’t much else CrashPlan does differently compared to other backup software except for the internal and external drive. It also supports many backup options like incremental backup, differential backup and scheduled backup. Backup to External HD, offsite to other computer or take cloud backup subscription. Unlimited file version restore, individual file restore options. Genie Timeline wants to take the stress out of backing up your files. It’s extremely user-friendly and is catered towards the elderly audience. It holds your hand heavily and makes sure you won’t get lost or discouraged. Genie Timeline doesn’t want you to enter any path by yourself and will always hold your hand no matter what. It suggests what drives you should store your files in and what format. It’s the ultimate file backup software but sadly ,like most cases, there is a twist. If you want encryption or password protection you will have to pay for the premium version. Or if you want to store a lot of files ,again, you will need the premium version. 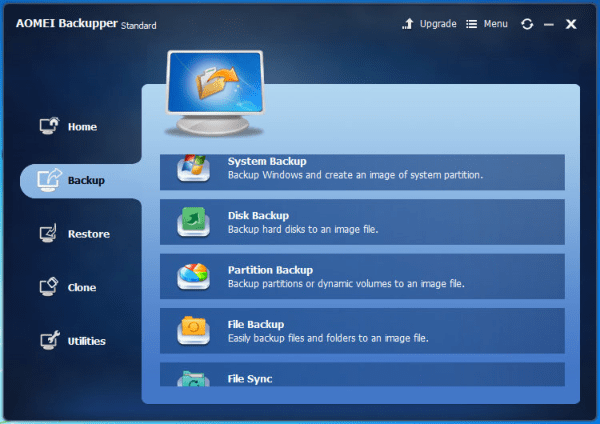 It is one of the few free backup software that allows you to backup files on a disk or email. COMODO supports ZIP, CBU, and ISO in addition of two-way or one-way sync. Alike to other data backup software data you can slice, compress, or password protect your files. 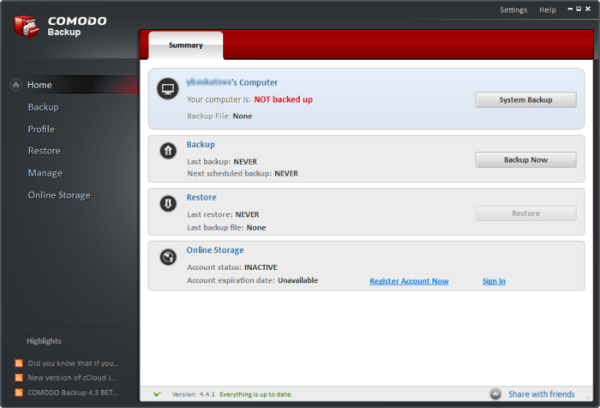 All of this is completely free with COMODO -and while there is premium version- COMODO doesn’t hold out. Maybe you don’t want to just backup your internal or external drive. Maybe you want to backup your entire hard drive to a disc. Well, Redo Backup is perfect for this task. It’s at its best if you are worried for your entire hard-drive. In case you have an older computer and soon plan on upgrading but don’t want to lose any progress RedoBackup is perfect for you. In addition, you are granted a data recovery tool and data wipe utility. 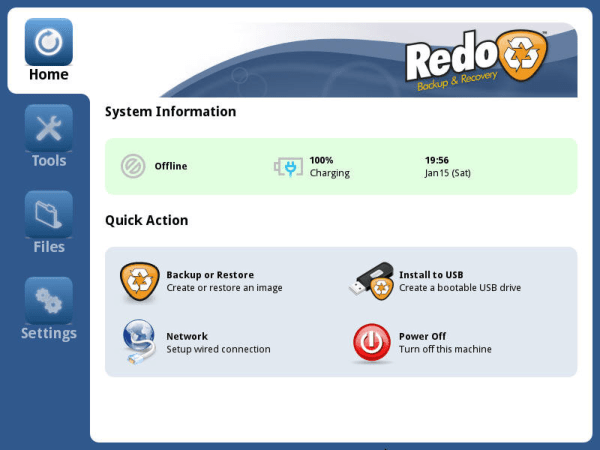 Redo backup is a Open source software and is completely free. It also provide Live boot CD for recovery. Most data Backup software are quite expensive and can run up to 9.99 a month. This can hurt you if your business is small and you want to maximize on every profit , or if you’re a college student and penny pinch whenever you get the chance to. Even though you won’t get the best service with the free backup software. They can still be worth your time. Plus, you won’t have anything to lose since they are free. However, keeping that in mind, most of the features are locked until you buy the premium version. It’s a marketing tactic that works for the most part and is a good way for you to test the product before you buy it.